I can't believe it's the end of March! Already! But it is and this means it's time for an update on the Mt. TBR project. I rather neglected the project last month again in favour of library books. Yes, I am blaming my library for this. And the fact that you guys keep telling me about books that I can find at my library (or an affiliated branch) and can have delivered to a very convenient location (a branch with a huge car park close to my work place). So, thanks for that. No, I mean it. If I have to neglect the Mt. TBR project, then this is the best justification ever. 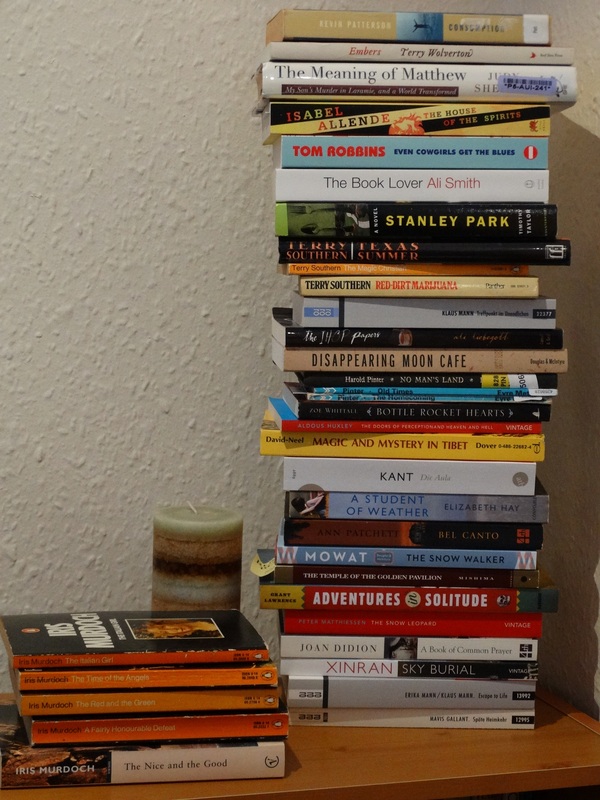 Rules - I picked a stack of physical books of my shelves at home which I would read over the course of the year. Any new purchases are added to the pile. If I pick another physical book off my shelves, I get to take one off the pile and put it on the shelf - as a swap.